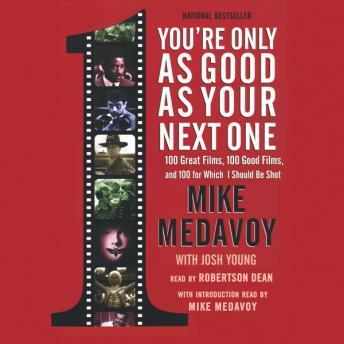 Listen to "You're Only as Good as Your Next One: 100 Great Films, 100 Good Films, and 100 for Which I Should Be Shot" on your iOS and Android device. Mike Medavoy is a Hollywood rarity: a studio executive who, though never far from controversy, remained loved and respected through four decades of moviemaking. He helped bring to the screen some of the most acclaimed Oscar-winning films of our time, including Apocalypse Now, One Flew over the Cuckoo's Nest, Amadeus, The Silence of the Lambs, Philadelphia, and Sleepless in Seattle. Of course, there are the box-office disasters, which also have a place in his fascinating memoir, a pull-no-punches account of financial and political maneuvering, of creativity stymied, and of working with the industry's brightest star power. An eyewitness to Hollywood history in the making, Medavoy gives a powerful and poignant view of the past and future of a world he knows intimately.